Few words capture the attention of people more easily than the word ‘free’. The very idea of getting something (hopefully of worth) in exchange for absolutely nothing appeals to the deepest, most sincere part of the human soul. Today we’d like to highlight the free nitrate testing program that will run from July 18 to July 20, 2011 in Douglas County, Minnesota. Sponsored by the Minnesota Department of Agriculture and the Douglas County Soil and Water Conservation District, free nitrates in water testing will get offered to residents who bring samples of their well or tap water to the County offices in Alexandria. For starters, the USEPA has deemed them a health hazard if consumed in too great a quantity — especially for young children and babies. 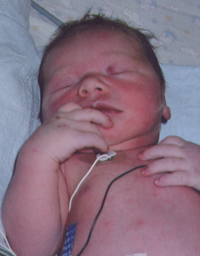 A condition known as Blue Baby Syndrome, experts believe, may result when nitrates hinder the ability of hemoglobin to carry oxygen in the bloodstream. Reduced amounts of oxygen in the bloodstream can cause developmental problems and could even result in the death. ST. PAUL, Minn. – The Minnesota Department of Agriculture (MDA) and Douglas County Soil and Water Conservation District (SWCD) will offer a free nitrate water-testing clinic July 18-20 at the County offices located at 900 Robert Street, Suite 102, in Alexandria. Clinic hours will be 8 a.m. to 5 p.m. The clinic is the latest in a series of water-testing clinics sponsored by MDA. Nitrates are the most common contaminants in Minnesota’s groundwater, and in some areas of the state a significant number of wells have high nitrate levels. With that in mind, experts recommend that homeowners who get their drinking water from wells should test their water regularly. For those not lucky enough to live in a place offering free nitrate testing, do not fret because everyone has the option of performing at-home testing for nitrates for less than $0.50 per test AND get dependable results in just a few short minutes. 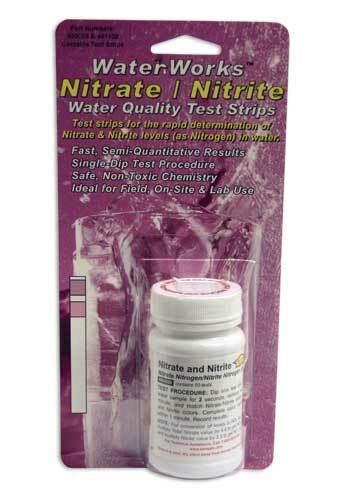 The WaterWorks Nitrate/Nitrite Test Strip gives homeowners and water professionals the ability to quickly determine if a Nitrate or Nitrite problem may exist in a body of water. 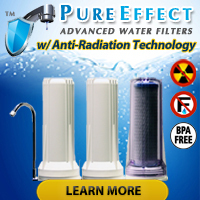 Filters to remove nitrates from drinking water? 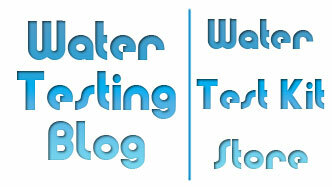 Several different styles of filter exist to remove nitrates from drinking water. Depending upon the amount of water you want to filter and the amount of nitrates in your source water, pricing for a simple disposable nitrate removal filter start around $120, pricing for higher capacity undersink nitrate filters start around $125, and pricing for more sophisticated whole house nitrate removal systems starts around $1,370.